Relapse has made another addition to its already impressive roster with Dallas' Kill the Client. The band has been an entity since 2004, but if you haven't yet had your senses assaulted by KTC, they were more than happy to give us a reference point. "We are highly influenced by all the Slap a Ham and Pessimiser releases of the early 1990s. It was all just really ugly, heavy, ultra fast or brutally slow material done with a complete DIY mentality," bassist James Delgado told Noisecreep. "We really like the current-day crust/punk DIY scene, but we can really appreciate a full-on metal show as well. We don't pigeonhole ourselves into one scene or the other. We primarily just play fast and rant on subjects we care about." Kill the Client contributed a song to 'For the Sick: A Tribute to Eyehategod' comp and released a split with Agoraphobic Nosebleed. "Initially we had signed to Willowtip,which is a smaller label that has helped launch some really excellent bands like Misery Index, Necrophagist, Arsis," Delgado said. 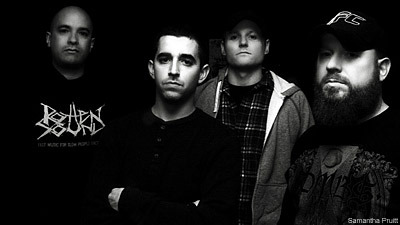 "On that label, we released a 2005 full-length titled, 'Escalation of Hostility.' That album was named one of the 30 top grindcore releases of all time by Decibel magazine in 2008. That same year, we released our most recent album titled 'Cleptocracy' with Willowtip here in the U.S. and under Candlelight Records in Europe." The new album will be released by Relapse. "We are trying to expand a little more so that it maintains the same aggressiveness we reached on 'Cleptocracy' but with a little more dimension to grasp on to for people less versed in ultra chaotic grindcore," Delgado said. As for that EHG cover, Delgado said, "Eyehategod is one of the coolest bands around in my opinion. I personally don't even remember how to play that song now but it was really fun to record and hopefully we get to add it back into our set list soon."